If you show initiative and positively labor toward your goal, you can turn the funding stumbling block into a stepping stone. Just showing up and doing the work can help your singing business become more fiscally sustainable. Money very rarely comes in deluge form in the classical world. 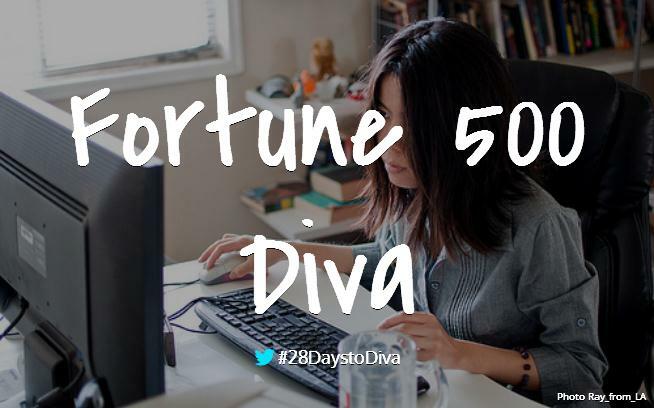 However, since following 28 Days to Diva you have become a financial watchdog, dealt with your debt, found a side gig, and even created budgets for your projects. You have put your financial house in order. Now, you must grow your business by bringing in more money with alternative revenue sources. Increased funding is important because it ensures that you can keep on doing what you love. Your singing business starts out small. You are doing all the parts: singing, planning, accounting, marketing, development, etc. When you are a company of one it is daunting to grow your business. How can you keep all the plates spinning at once? The sheer amount of work you need to accomplish in a day can detract from looking for ways to ease the financial burden. More funding can help take some of the work off of your shoulders because you are able to start outsourcing to more qualified people. Need someone who can take care of your taxes? Making more money helps you pay that person who can help you get better tax returns. Where do you go wrong? Grants are not what they used to be and crowdfunding isn’t the panacea that some musicians believe it is. Before you get too depressed, take some time today and problem-solve, “where does the money come from?” and “what can I do as an individual to get more funding?” You probably know many resources in your local area that can help. You cannot hesitate to contact those gatekeepers and find out more about the existing resources for artists in your community. It is their mission to help artists, presenters, patrons, and other organizations but it isn’t possible for them to go door-to-door asking if you are an artist and need their help. If you do not know the support system in your area very well, ask around. First, find your state/regional arts council website. You can often apply to their touring program simply via the web. Artists that have the support of a regional arts organization are particularly appealing to presenters because they have already been vetted by professionals in the field. State it prominently in your materials if you are part of a Touring Artist Program. Back to their websites, browse around and see what other resources they offer individual artists. Request information and applications. Sign up for their eblast! That’s certainly not going to hurt you. Write down the deadlines for their program apps. If you missed the deadlines for this year, call them up and ask them to suggest other organizations in your area you should know about as an artist. A few thoughts on grants: applying for grants is a long-term process with specific rules. When you want to pursue a grant, be completely sure that you are eligible and the perfect candidate for that funding. If not, you’re wasting valuable time and energy. As soon as you are the model grantee, pay close attention to the deadlines and the content of your proposal. Are you submitting a complete application? Do you proofread the abstract, proposal, budget, etc within an inch of its life? Only then do you want to go for it. There is an abundance of writing on the web about running a successful crowdfunding campaign as an individual artist or ensemble. I won’t need to write more about it here except to suggest that you go back to Kevin Clark’s series on Kickstarter once you need a refresher. You should also check out what New Music USA has done to reconfigure five of their past grant programs to launch their new project grants. One area of funding that emerging classical musicians do not often consider is sponsorship. You can benefit from sponsorships when you are able to think creatively and devote time to connecting with those who have the funds. Okay, okay, so I highly doubt that individual divas are getting major corporate sponsors. I added that as inspiration for considering who might find advertising to your audience invaluable. Consider approaching smaller, hometown companies with whom you have a direct relationship. Figure out how you could establish yourself as a key spokesperson for their company and prepare a proposal. Use your credible press mentions and hard data about attendance to strengthen your position. Work with your contact to find out who handles the advertising/PR because that is the person who makes sponsorship decisions. If asking for a financial sponsorship freaks you out, ponder a direct trade of advertising for a specific event. Expanding your singing business and performing career means targeting more funding. Examining all possible angles for funding can only help you. The time you spend carefully crafting your materials for grants, other funding applications, crowdfunding platforms, and sponsorship proposals is part of the administrative time you need to devote to your business. This is only a start to the information about arts funding. If you have more specific questions, I would love to hear them! Ask away in the comments below and I can answer or point you to more resources. Don’t hesitate to also find me on Twitter at @mezzoihnen.